Questions to ask before engaging the services of a moving company. Experience from any company, grows into better delivery of services. It is easier for customers to trust a company that has been in operation for a number of years, as opposed to one that has only started running. 2. Where is your physical location? Other than making calls and dropping emails, a company is supposed to have a physical address where clients are able to go and air their grievances in person when and if need be. There is also a sense of security when you can trace services to a physical location. 3. Can I inspect your premises? You do not want to blindly trust that a moving company does indeed have the moving facilities they claim to have without having gone to their premises and inspected them. For an established moving company, they must have references from people they have worked with. Request for addresses for these people and find out what their experiences were using this particular moving company. If the management of the moving company is not forthcoming with this information, you should be very careful if you choose to engage their services. 5. Do you have your own trucks or do you sub-contract from outside? 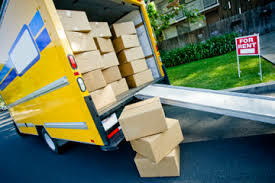 To avoid rude surprises on the day of the planned, moving, ask about their transport and moving trucks. If they do not own any trucks, and are therefore sub-contracting from elsewhere, ensure that indeed they do show up, to avoid incidences of double-booking. 6. Will you send a representative to view what needs to be moving? Without assuming that since they are a moving company they know about the things being moving, inquire whether they are willing to send a representative to view the things that need moving. This may also involve answering your questions about the proper handling of your stuff and any other issues you may raise. 7. How is the furniture protected during the moving process? Some pieces of furniture maybe extremely valuable and irreplaceable, some may hold sentimental value and will therefore require to be handle with utmost care. 8. If any of my stuff is damaged or missing, do I get compensation? A serious moving company should have systems in place to allow compensation in the events of loss or damage of goods in the process of moving and eventual handling. This shouldn’t be a process that requires pushing and pulling. 9. What services do I get if it is a long distance move?Services such as unloading, unpacking and or appliance re-connection should be billed in the moving services, but you need to ask before-hand and not just assume they will be available. Over and above everything, any business undertaken with other people requires trust. Follow your gut instinct before engaging their services and you can be on the move.